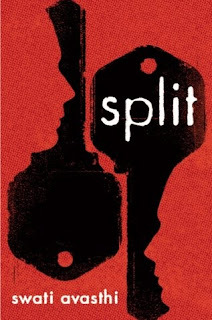 Split is one of those books that gives you chills as you are reading it. Split focuses on the before and after of abuse, which I have never seen before. Jace's story horrified and captivated me at the same time. Jace was such a strong character and I felt so sad with each flashback that was revealed. I can't ever imagine a father doing that to his son and it broken my heart. The plot was very slow at the beginning, but it quickly gained momentum and became a fast and addicting read. Avasthi's debut was an emotional roller coaster. She created such strong emotional responses as you read this book. I highly recommend that you read this book as soon as possible. It was just so engaging and hopeful. I've been debating whether to read this one...did you cry? I just need to be prepaired mentally once I do read it.